The clients of the Modern Side Extension found themselves in a position common to countless thousands of other people in the UK, which makes the house we designed for them of generic value to others. Living in a three-bedroom terraced house, they wanted to expand and remodel for open-plan living on a limited budget. They especially wanted to avoid the cold and clinical aesthetic of many contemporary homes. Conservation area-friendly brick, glass and bi-fold doors unite in a complex three-dimensional composition. Respectful to neighbours, the Modern Side Extension shows that the smallest architectural projects can be transformational. Inside, the materials – polished concrete floors, brick, European oak and white sprayed MDF joinery – are warm and unostentatious. Bi‐fold doors and frameless rooflight glazing dissolves the distinction between inside and out and allow light deep into the property. The Modern Side Extension is a homely and uncompromisingly modern answer to the question of how to extend a terraced home. Coffey Architects have avoided both the typical glass side infill solution and the intrusive projecting rear extension by reversing the infill condition. 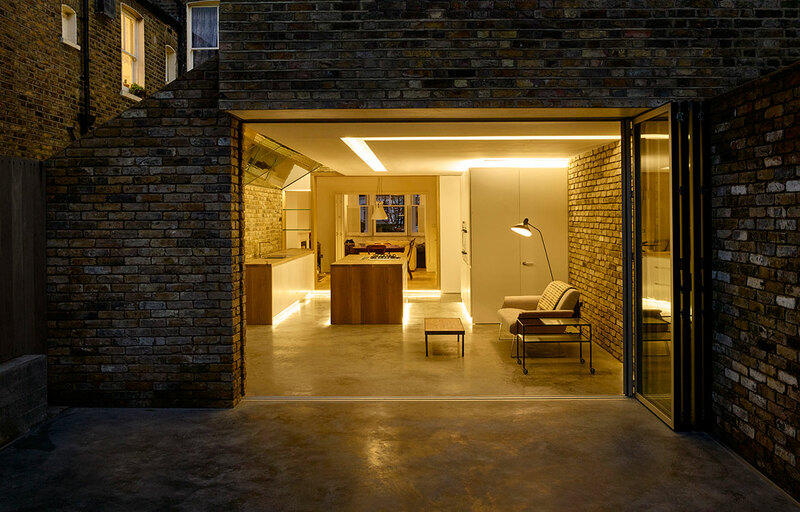 Built from contextually apt London Stock brick, this essentially involves a structural solution that allows the existing volume of the house to slip past a brick pier; a continuation of the party wall. The composition is a subtle game of solid and void, breaking down the threshold between new and old, inside and outside. The self‐finished internal materials including polished concrete floors, brick, European oak and white sprayed MDF joinery add a sense of context and warmth; a key criteria of the client who wished to avoid the cold and clinical aesthetic of many contemporary residential projects. Slim aluminium bi‐fold doors and frameless rooflight glazing ensure the distinction between inside and outside is dissolved; in effect making the exterior another room of the house and allowing light to permeate deep within the property. No columns, no dodgy glazed infills, no ostentatious materials. 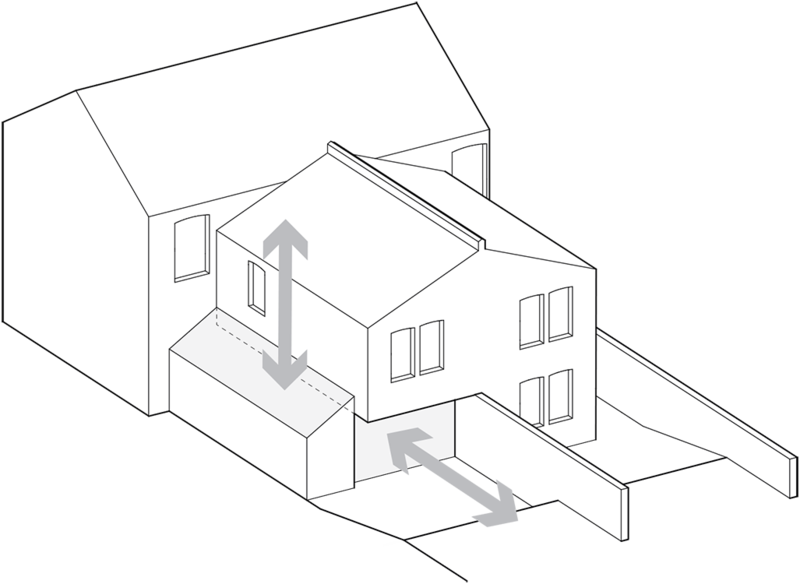 The Modern Side Extension is an uncompromisingly modern solution to the expansion of a terraced home.